125 Windrush Road, Winston Salem, NC.| MLS# 914014 | North Carolina Farm and Vineyard Specialist Patria Properties Inc.
Fabulous, totally updated home located on a cul-de-sac street in desirable Greenbrier Farm. ML has beautiful hardwood floors, 9' ceilings & deep moldings; Updated kitchen w/ SS appliances; Inviting breakfast nook or keeping area; Large den with FP opens to screened porch. 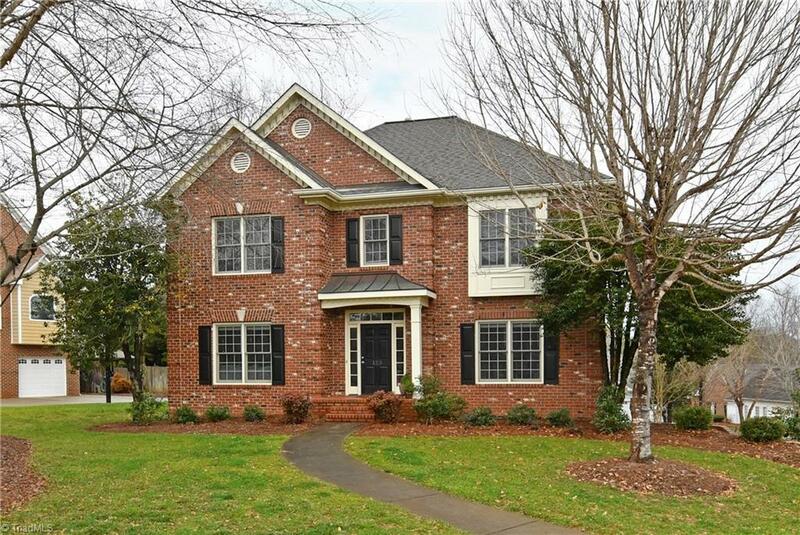 UL has a wonderful master suite w/ huge walk-in closet and updated master bath. Walk-out basement with spacious playroom, FP, and full bath. Neighborhood amenities include pool, tennis, walking paths, basketball court & athletic field.